Hoping to live for a century? (‘Cause why not?) If 100-year-old Matilda Curcia is any indication, you need look no further than your college diet for the secret to a long life. 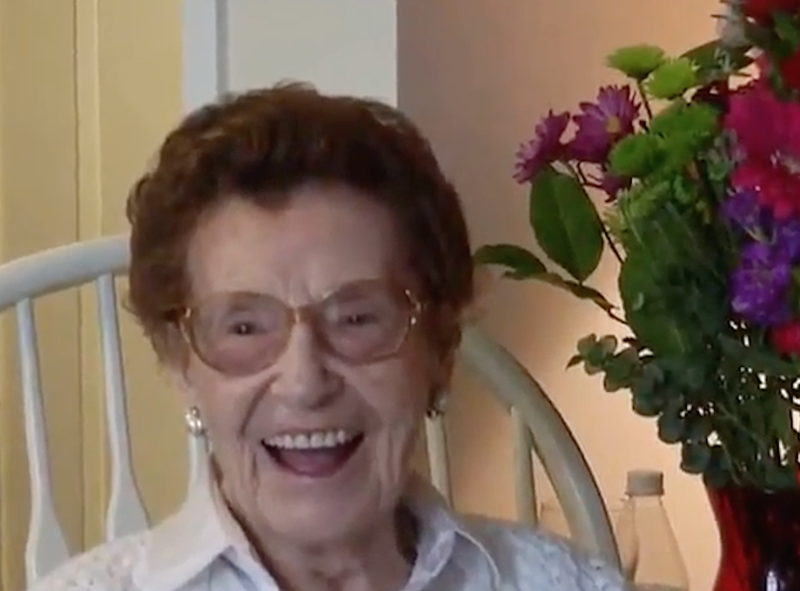 In a recent interview on her 100th birthday, Curcia told NBC 7 San Diego that her secret to a long life is simple and delicious: she has one beer and three potato chips every night. Well, she might have more than three potato chips sometimes. But who can blame her? No word on her favorite flavor, but it probably doesn’t matter because THEY ARE ALL GOOD! Curcia recently celebrated her milestone birthday with her neighbor, identified as Mickey, who also turned 100. They’ve been friends for decades, and celebrated their special day with friends and family and tons of balloons — and probably beer and potato chips. Curcia and Mickey are also pretty active, and like to go on walks as well as occasional bike rides together — which, let’s be honest, probably helps with their longevity (in addition to the chips, of course). Whatever these two are doing, they are obviously onto something and we are all about it. Especially if it means sticking to the college diet we claim we’ve outgrown, but really haven’t.